Indian people don’t give a damn about set prices in stores. They are masters at getting deals almost anywhere. In my quest for bargaining, I have vanquished department stores, car dealers, and landlords. But the one place I haven’t been able to bargain with is McDonald’s. To me, their golden arches represent the ultimate aspiration: To strike a deal with the very symbol of of America, bridging East and West. And getting a free cheeseburger in the process. Anyway, the reason I’m interested in this is that a bunch of my friends just got jobs, and–within a few weeks–a couple of them are already unhappy. It’s the money, the commute, the work–all the stuff you’d imagine. Being unhappy at a job in the first weeks isn’t too shocking. It’s probably happened to all of us. But I’m surprised by their response. They are planning–very seriously–to quit right after the holidays. It wasn’t just one of them. It was both of them. And two is enough to be a disturbing trend to me. I don’t think we should quit without asking for what we want. Every good boss wants you to stay at your job. If it would just take a few dollars extra per week, most bosses would happily pay you. One of my friends, for example, was unhappy about having to pay the toll every day for her commute–a very understandable complaint. But she didn’t tell her boss about this, who I guarantee would have moved heaven and earth if he’d known an employee was close to leaving. $6.00 per day is nothing to companies. There’s a right way to bring this up, too. You need to tell your manager two things: What you’re unhappy about and what you need to make it better. As a manager, there’s nothing worse than someone who says “I hate my team!!!!!!!!!! !” and then stares blankly at you. WHAT DO YOU WANT ME TO DO!?! Tell them what you’re not satisfied with, and then what your suggestion is for fixing it. You have more leverage than you think. When I wrote about negotiating with banks, I noted how banks’ customer-acquisition cost is over $350, meaning they don’t want to lose you over nickels and dimes. Now think about your job. Can you guess how much your company spent recruiting you? Here’s the answer: Companies spend around $6,000 recruiting the average college candidate. No, that’s not a typo. And that number isn’t just Stanford or Harvard students–it’s everyone. Think about this. Think about how much leverage you have, and how far companies will go to keep you. $6.00 for your commute (or whatever) is nothing. Bottom line: Managers aren’t stupid. It’s much cheaper and easier to give you small enticements and keep you happy, rather than sending you packing–which just creates more work for them. You say $6.00 is nothing. Maybe that’s true for your fancy-pants technology companies, but I work for a small/poor nonprofit and they can’t spare any money. You are wrong!! Everything you say may be true, but my response is simple: Have you asked? We love to make assumptions, but the truth is that you have to measure the $6.00 in terms of how much your nonprofit would lose if you quit (recruiting costs, training costs, costs for stupid mistakes of the new person, etc) versus your paltry $6/day. Maybe you’re right. Maybe I’m right. Who knows? Certainly not you until you ask. I am really unhappy at my job and it’s been two years. I know nothing is going to change, so I’m going to quit. Well, ok. 2 years is a long time. But whether you’re unhappy on the first day or the 2nd year, the point is still the same: You need to tell your manager two things: What you’re unhappy about and what you want to change. And if nothing changes, then maybe it is time to think about another place. I don’t think my workplace would give me these special perks, because nobody else is getting them. That is a very fair point. Besides your needing to check by asking your manager, this raises a whole bunch of of issues about perks. I might write a whole other essay about this, but the bottom line is this: To expect any unusual perks, you better be very, very good at your job. 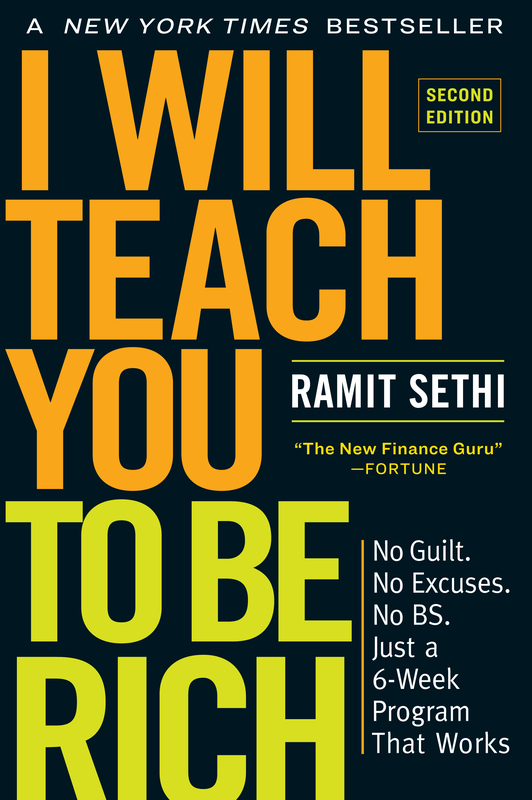 “But Ramit,” you might say, “I just started 2 weeks ago!” This starts before you’re hired. It starts in the way you get your job (through the front door or through a trusted contact? ), the way you negotiate for your salary (did you negotiate, which is even more important than whether you were successful or not? ), etc. Just remember the main point: It almost never, ever hurts to ask if you are polite and respectful and approach it as a constructive process that you can both work together to find a solution to. Great essay. I’m thinking of quitting a doctorate program, and this advice fits in well. However, you left off one giant factor for people being unhappy at a job: being unfulfilled and/or unhappy at the _content_ of the job. No amount of bargaining can help that, unfortunately. good advice but you won’t get it in a lot of blue collar and some white collar positions (esp. if the company have set limits on raises, bonuses and perks). No harm in trying though. Hey, I continue to enjoy your blog… good stuff! An additional thought on negotiating in this context: Sometimes it’s best to come up with a creative solution that’ll satisfy you AND your employer. For instance, instead of asking for reimbursement of tolls, perhaps you could request a few extra vacation days (maybe you’d even value that more than the money!). Or a greater percentage off the company’s products or services for yourself or a friend (assuming these are useful for you). Since these things would likely cost the company MUCH less than giving you more cash, assuming that they’re of equal value to you, you AND your company will come out ahead… and both be happier with the arrangement. The key is thinking creatively about (forgive the cliche) win-win options in the context of reimbursements or compensation. Ramit, you just earned me $10. I recently spoke overseas, and was paid with a wire transfer. Whenever I get an overseas wire transfer, Wells Fargo always charges me $10, which always sort of burns me up — I mean, *all* money is transferred electronically these days, isn’t it? The conversion is done by a computer program. Why should it cost me anything at all? I clicked through you link on negotiating with banks and thought…I’m just going to ask to have that charge reversed. By golly, the phone rep was happy to give me a “one-time” reversal on that charge. The first part of the post caught my attention. The part where you said Indian people don’t give a damn about set prices. I just wanted to confirm that this is very CORRECT! lol. I work in the cell phone industry and to my knowledge I’ve never seen an Indian person walk in and not just cut to the chase…”What’s FREE? ?” lol. Good post by the way, that just caught my attention. Don’t you think that the title should be “Don’t Quit Without GETTING What You Want”? Ramit. I’d love to hear you riff on salary negotiation. What’s the best way to play your cards when you don’t know what the dealer is holding? Go to a quiet McDonald’s about an hour before closing. They usually have an extra cheeseburger or two that they’d give away or throw away. read, steve pavlina’s, 10 reasons you should never get a job. I agree with your article. I too have made many, many assumptions that have hurt me in the end, when a simple question in all likelihood would have bettered my position. well, they probably didn’t ask. maybe they aren’t willing to think outside the status quo. But why assume what you want isn’t possible? it could very well be possible and happen next week for you if you are clear about what you want. Then it might happen for everyone else in the office and life gets much happier at work because everyone else was thinking the same thing but not saying it. The worst that will happen is your request will be unsuccessful, which is still a success in that a) you asked for what you wanted and b) discovered they wouldn’t provide it , at least at this time. Which gives you a *better* reason than you had in the first place for considering other work options.